Attendees from the signing ceremony for cooperation MOU between UNIST and GHI are posing for a group photo at UNIST. From left are Sunghun Gwak, Je Hyun Kim, Chang Yeol Shin, Ji Hoon Moon, President Oh Seung Kwon of GHI, President Mooyoung Jung of UNIST, Prof. Franklin Bien (Dean of Public Relations & International Affairs), Prof. Wooseok Ji, Prof. Young-Bin Park, and Prof. Han Gi Chae. 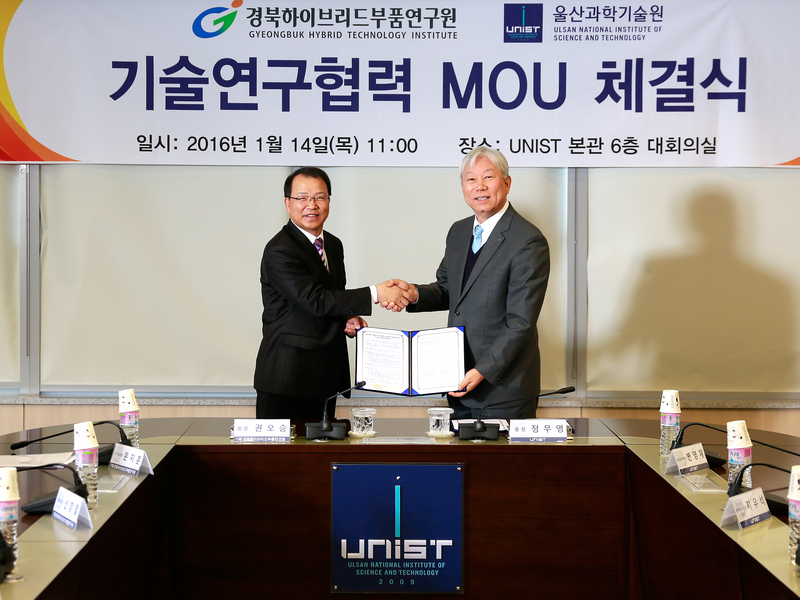 On January 14, UNIST signed a Memorandum of Understanding (MoU) with GyeongBuk Hybrid Technology Institute (GHI) to pledge mutual support for one another in the pursuit of excellence in carbon fiber-based R&D. The ceremony was attended by President Oh Seung Kwon of GHI, President Mooyoung Jung of UNIST, Prof. Franklin Bien (Dean of Public Relations & International Affairs, UNIST), Prof. Wooseok Ji (School of Mechanical and Nuclear Engineering, UNIST), Prof. Young-Bin Park (School of Mechanical and Nuclear Engineering, UNIST), and Prof. Han Gi Chae (School of Materials Science and Engineering, UNIST), and four other researchers from GHI. The primary purpose of this agreement is to enhance carbon fiber-based materials and manufacturing techniques, all in the hopes of enhancing South Korea’s capabilities in the carbon fiber industry. In the memorandum of understanding, the two institutes agreed to facilitate world-class innovation in carbon fiber and composite solutions, as well as offering a range of R&D in all aspects of carbon fiber-based research. In recent years, carbon-fiber composite materials have proven their worth across a vast range of industries, such as aerospace, automotive, oil and gas. Indeed, this miraculous material, which is light as a feather and 10 times stronger than high strength steel is now at the forefront of advanced materials. 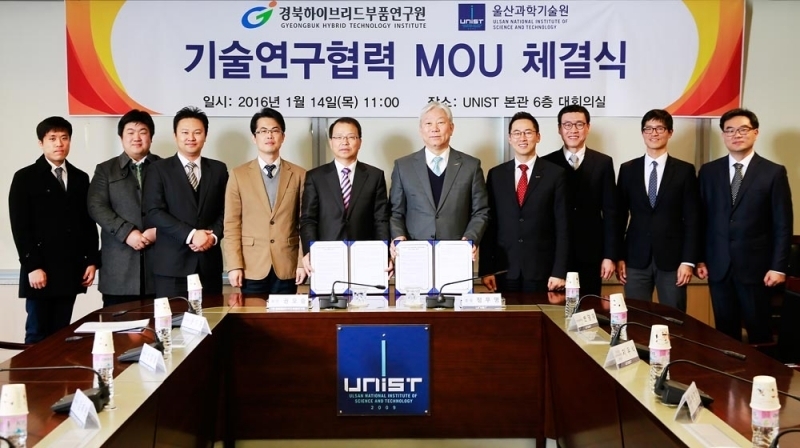 Through this MoU, UNIST has secured 20 billion won in funding to support for the next four years of the carbon fiber-based development project UNIST’s been working on since 2015. 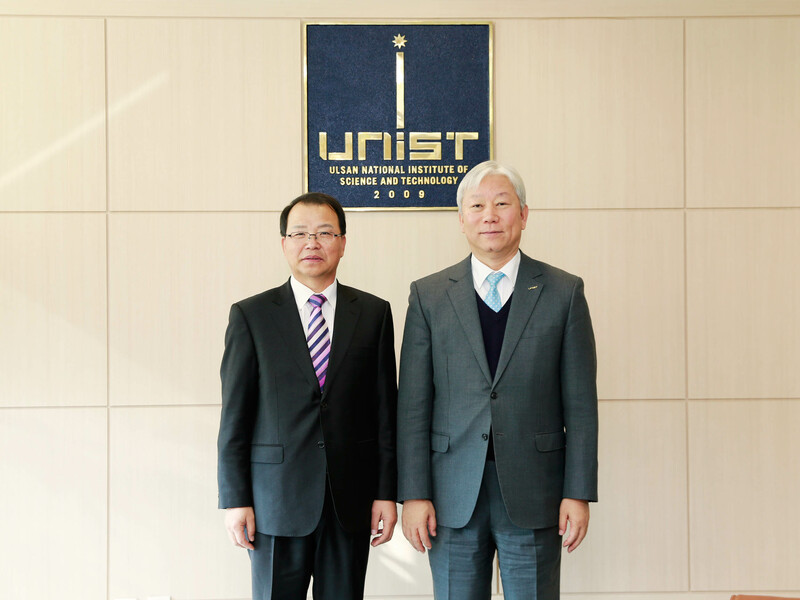 In conjunction with GHI, UNIST plans to establish fundamental technology for cost-effective, high-volume manufacturing of automotive carbon fiber composite, a material poised to play a significant role in the drive to make vehicles much lighter. 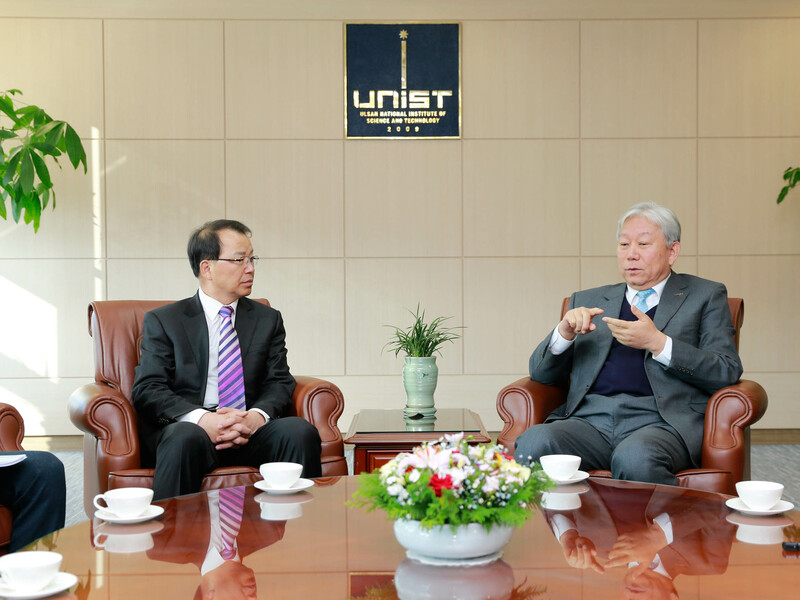 “In order to promote Kyeong-Buk region’s carbon fiber industry growth, enhanced collaboration with UNIST and the city of Ulsan, a Mecca of the Korean auto industry is pivotal,” says President Oh Seung Kwon of GHI.